Television - Our Filter to the Dreamworld? Do we usually dream in black & white” Or is the color in our remembered dreams just hard to remember? This has been a perplexing question for dream scientists for half a century, with most studies not able to report a firm conclusion. Here’s a new take: TV may call the shots for whether we dream in B&W or in color. A new study published in Consciousness and Cognition recently reported that our perception of dreaming in color or black & white is correlated with age and early childhood exposure to television. The researcher observed that only 4.4 per cent of the under-25s” dreams were black and white. The over-55s who had had access to colour TV and film during their childhood also reported a very low proportion of just 7.3 per cent. However, the over-55 participants, who had only had access to black-and-white media, reported dreaming in black and white roughly a quarter of the time. In a nutshell, the elderly report more dreaming in B &W, the young dream in color, and the middle-aged dream in technicolor. Seriously, “There could be a critical period in our childhood when watching films has a big impact on the way dreams are formed,” New Scientist magazine quoted researcher Eva Murzyn from the University of Dundee, UK. This study reveals one of the biggest issues with dream research: are really studying dreams – or are we studying our remembered narratives of dreams? How reliable is memory anyways? Evidence suggests: not very, at least when trying to recall the insignificant details of a remembered event. Color is as much a symbol as is the imagery in a dream. Color appears to represent the emotional conditions that stimulated a dream or dream image. As with any other symbol, color combines with the imagery to form a more complete “meaning” for the dream image. Just as the face of your son might combine with the body of a bird to represent some personal meaning such as “my son has left the nest”, color will combine with a dream image to give it greater emotional significance. 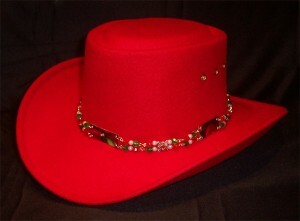 A red hat would be more expressive of passion, drive and vibrancy, for example, than a colorless hat. Just as bad smells in dreams are unconsciously translated into negative dreams, so are emotions represented in our dreams as vivid colors. Hoss suggests that the way a color becomes a “dream symbol” is not absolute, but rather a combination of cultural and personal significance as well as more widespread color values that are pan-human. (Red as passion, for example, may be an evolutionarily hardwired association). In this light, dreaming in black and white may be a cultural interpretation for a remembered dream with no vivid colors – but is that so surprising, given that most of us are not taught to pay attention to colors in dreams? So whether or not you grew up watching the Andy Griffith Show or Spongebob Square Pants, some colors in dreams speak louder than others. Tracking these associations can be a fruitful practice. I personally dream in very vivid colors and have not watched TV for over 20 years and was never a huge consumer of TV when I was a kid. But then also I pay attention to the significance of color in the world around me in my waking life. I was a big-time TV watcher as a kid. Today, not so much. My dreams tend to have muted tones with the occasional vivid color. 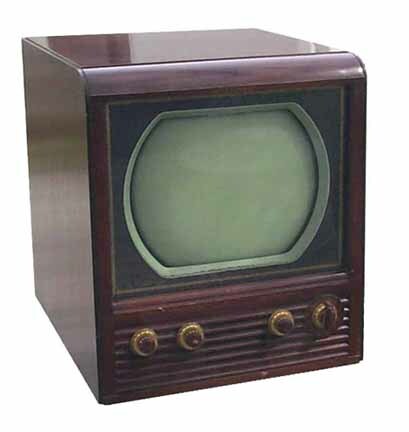 My lucid dreams, on the other hand, are vividly colorful, especially the geometric imagery – but I sometimes wonder if that is influenced by the “electron static” from a TV set. The first time I heard that people dreamed in black and white, I thought they were lying! I don’t think I’ve ever dreamed in b&w. Yeah, I similarly had an attitude like “well, you think you’re dreaming in B & w, but you just don’t remember….” It’s a good reminder about how cultural influences can effect even our most private perceptions. I’ve never dreamed in black and white. My dreams usually have vivid colors. That might be partly influenced by how much time I spent drawing and painting as a child, or it could just be a fluke or a result of other more subtle cultural influences. In my lucid dreams, I often find myself paying more attention to colors to see if any particular color stands out more than any other or to see if places/objects are portrayed in unusual colors or in colors that might have meaning to me. It’s fascinating how culture plays such a big role in dream symbolism and analysis. To one person, the color green might represent new growth or life, springtime, the outdoors, etc., while to another person it might represent money and finances, and to another person it might be associated with something more specific like the color of the walls in a childhood bedroom. The meaning might even change for the same individual from one dream to the next. Just like everything else in dreams, the symbolism is so deeply tied to the individual dreamer. Hi Kris! yeah, dream symbolism is fascinating like that; our metaphoric thoughts have influences on so many levels: mammalian concerns, primate sociology, cultural layers, family of origin issues and ancestral myths, and then all our deep memory structures… that’s why I’m not a fan of dream dictionaries. (altho a decent dream dictionary can be right on the money for euro-roman cultural mythology and certain existential concerns). but we as individuals invert symbols all the time, and culture as a meta-process does the same thing over time. I like hearing how you look at colors in lucid dreams with the though “what does this mean?” dream interpretation in the dream – cool! i have always had black and white dreams. I dont think that anybody will ever know why i do, but i have never met anyone who has this charley chaplen syndrom that i have. Sometimes i see a little bit of red in my head. I have been having insane black and white dreams since i was 4 years old. my first nightmare was of an old vintage big weel bike, in black and white. i dont understand the reason. I have always had dreams in black and white. Ever since I can remember as a very young kid and they have always been very vivid in details. The strange thing though is that one thing ,in everyone of my dreams, will be in bright colour (kind of like the little girls red coat in Schindler’s list) sometimes it will be a persons piercing blue eyes and other times a bright pink kite, one time I remember I was about 5 and had a nightmare and it was bright blue veins on someones arm that was in colour. But the strangest thing about every dream I have is there is blood in everyone? I just dont get it? Brandon, that bit of red is the crack in the dam. Did you know that, according to cognitive anthropologists, when cultures make divisions between colors, red and not-red is the first division, always? colors and emotions in dreams seem to have an association that we don’t understand yet. the lack of color in only these nightmares could reflect the lack of safety you’re experiencing in the dream. there may also be unconscious associations with you between B&W and horror: after all, more likely than not, any B&W film portrayed in the media today is a Hitchcock image or other 1950s suspense film scene. as for advice, I need more info. feel free to PM me with your nightmare. So type of television affects the color of your dreams???? So what color did people dream in before the invention of television? And how does vision affect dreams? I have several blind friends and they say they dream in texture. dreaming in texture” that is fascinating. who knows what colors we dreamed of in the past. keep in mind that in the middle ages, for example, color was not described as we experience it today (talk back then was about shininess and saturation). but neuro-research suggests that visual acuity and seeing in dreams are not as deeply linked as we may expect. you can damage the part of your brain that processes visual imagery for example and still have normal dreams. in my opinion, this research is more about how culture can affect the way we remember our dreams. I have recently started dreaming in textures–I am not blind. But, I am a very lucid dreamer. This is different. Recently my dreams are always textured, for example: the hide of a snake or raindrops splashing in a puddle. This has concerned me because I am so aware of my dreams and now all of a sudden a drastic change in them. Should I be concerned that a neurological change is taking place? I am now of middle age. Any ideas why I am suddenly dreaming in texture? Teri – this is fascinating. I have no clue, to be perfectly honest, why this is happening. I wonder about the metaphorical significance of “texture” and the sensation of touch. You say middle aged – is it possible that you are pre-menopausal? I ask only because I know that the hormone shifts during this life change can be extreme, also affecting the way you see (or touch) the world. Menopause also can lessen the amount of dreams due to the decline of estogen levels. Personally, colors in my dreams appear vivid when they have some relation to nature. In my dream last night (an under water dream) the water, as always, was especially bright blue. The grass and trees above the water were quite vivid as well. Strangely enough, I don’t recall there being a sky. Although, it’s very possible that we all dream in B&W, but when we remember the dream in waking life we put color to it. Just a thought. Im 15 years old, i dream in Black and white. I have only ever watched the occasional b&w movie, but i dont think that would effect my mind. thanks for commenting Macca – I believe you; I think that there are sooo many personal expressions of dreams and dream memory. the TV bit is just one cultural factor. and Dreamer, how interesting the nature/color connection. As a lucid dreamer, I am pretty certain I dream in color because in the moment I can reflect on the color I am seeing in the dream. altho I suppose cynics could argue that a lucid dream remembered is still a dream conflated. this is a philosophical debate that gos back 2000 years at least. Can someone help me? I had a bizarre dream. It was in black and white. BTW, I can’t ever remember having a black and white dream. At first, a male stranger, who knew me and who wore a hat and suit like from the 50s movies, was acting all nervous and, when I asked him why, he said that he didn’t mean to kill her and that he put her body in the coal mine. In the next scene of this dream, I was walking down a cliff or hillside by the ocean with a beautiful woman. It was peaceful and I was happy at this moment. I also did not know her. She was wearing a long dress and had a 50s look to her. She was smiling and happy to be with me. I don’t know why, but in the dream I was thinking that this woman was the one who had been killed and put in the coal mine. When I woke up, the letters FGLS kept running through my mind. This is quite bizarre. any idea of what’s happening here? I’m sorry I didn’t notice your comment come in. I can’t speak to what the dream means for you personally, but it sure does seem to take up a “film noir” theme to communicate what’s happening. it’s been 2 months now: has FGLS shown up? I personally dream in no color and yes this article does say that i simply cannot remember the colors, but i remember everything that happens in the dream but no color. Now here is a confusing question that i have been researching for my thesis. Is there a behavioral or personal difference or a specific preference not shared with people who dream in color or black and white? hi Emma, I believe you when you say you do not remember color from your dreams. dreaming has many personal variables; researchers have just begun to scratch the surface. you may want to check out http://www.dreamscience.org . Robert Hoss runs the site, and he specializes in dreams and color. I don’t want to sound like a complete wierdo, but I’ve always had dreams in “black & white.” It wasn’t until here within the last week that I had a dream in very vivid color. Also, I never have emotional dreams, scary dreams, or anything like that. Never have I woke in a cold sweat, or been able to recall almost everything from a dream. I’m not a doomsday kinda guy or anything like that either, but this was what my dream was about… I dont watch a lot of t.v. so im pretty sure that it wasn’t just a dream wrapped around something like that.. Is there something that causes dreams like this? Maybe work induced, or maybe my diet? Is there any way of preventing dreams? sounds like a powerful dream that left quite an impression on you. Apocalyptic dreams can have many levels of meaning, reflecting cultural, familial, and personal feelings. Because the dream is so different than your usual standard fare, I recommend “working” with the dream when you’re feeling open to exploring it, rather than trying to forget it. If there is a warning in the dream, it may come back in an even more explosive form until it is heard and given forum. try writing it down, drawing the most memorable scene, or honoring the dream in waking life in some way. Here’s the first in a series of articles about how to work with dreams: http://dreamstudies.org/2009/07/28/dream-interpretation-without-a-dream-dictionary/. I have always dreamed in vivid, beautiful color since the first dream I remembered at under a year old (I was crawling in the house I lived in at that time). I grew up in a home where reading, music and art were dominate. I lived six blocks from the Cleveland Art Museum and started to visit with my sister at the age of three. I was always fascinated by the oil paintings because I was drawn to the colors and the tears in several paintings looked real. Art Museums are still my favorite pastime because of the colors/paintings that you get to enjoy. I also watched black and white TV until I was twenty-one, although color TV was available, and never had a black and white dream. The few nightmares that I have had over the years are still in a vibrant color but have outlines of a beautiful ebony. My son also dreams in the same kind of color that I do and color plays a big part in our life. We both have ADHD and perceive color and sound very intensely. On the other hand my husband grew up watching color TV more than the average person but only dreams in black and white and seems to have an indifference to color perception. So much comes into play with both color and black and white dreams. The color blue, etc., is not the same shade/intensity for everyone’s blue and there is no set black and white shade/intensity. Not all you read on research of color/black and white dreams applies to everyone; e.g., “color will combine with a dream image to give it greater emotional significance” (Probably for some dreamers but I dream in colors I have enjoyed my entire life) or “most of us are not taught to pay attention to colors in dreams” (I never heard of anyone being taught to disregard color in dreams. When I ask someone if they dream in color or black and white, they answer I dream in color or I dream in black and white and don’t seem to be concerned.). On another note I believe dreams are a random sequence of images and have no underlying meaning really, that’s just me. Oh I also experience A LOT of Sleep Paralysis… Creepy stuff! I dream in black and white and it is really annoying to me. Black and white makes it kind of hard for me to get a clearer view of my dream.